This is one of my most popular recipes ever. 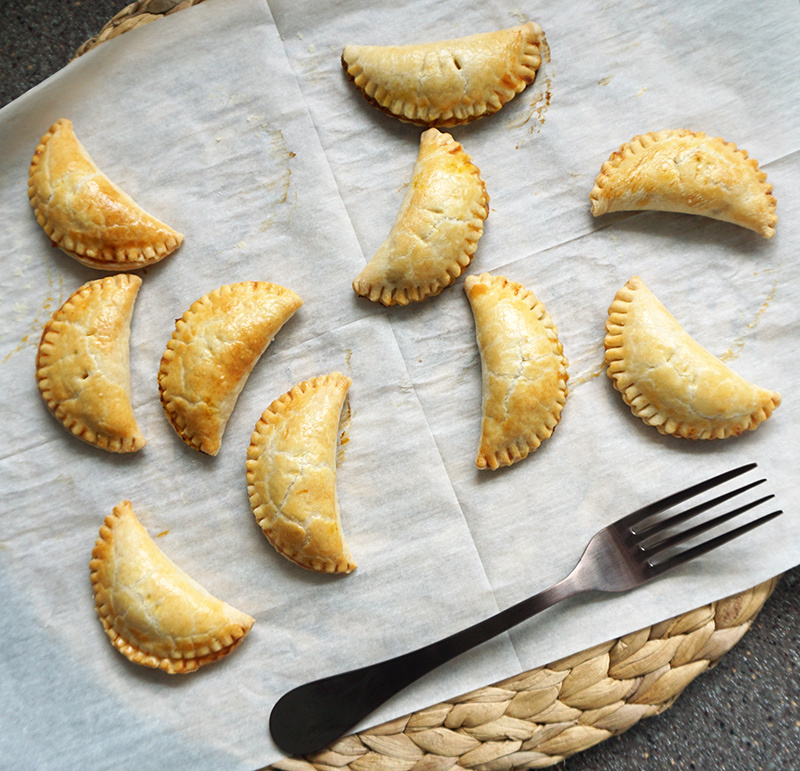 No matter if you want a sweet dessert pumpkin pasty or a savory cheesy pumpkin pasty, you’ll find your match here. They’ll be perfect (and tasty!) for your fall- or Harry Potter-themed parties. Accio pasties! 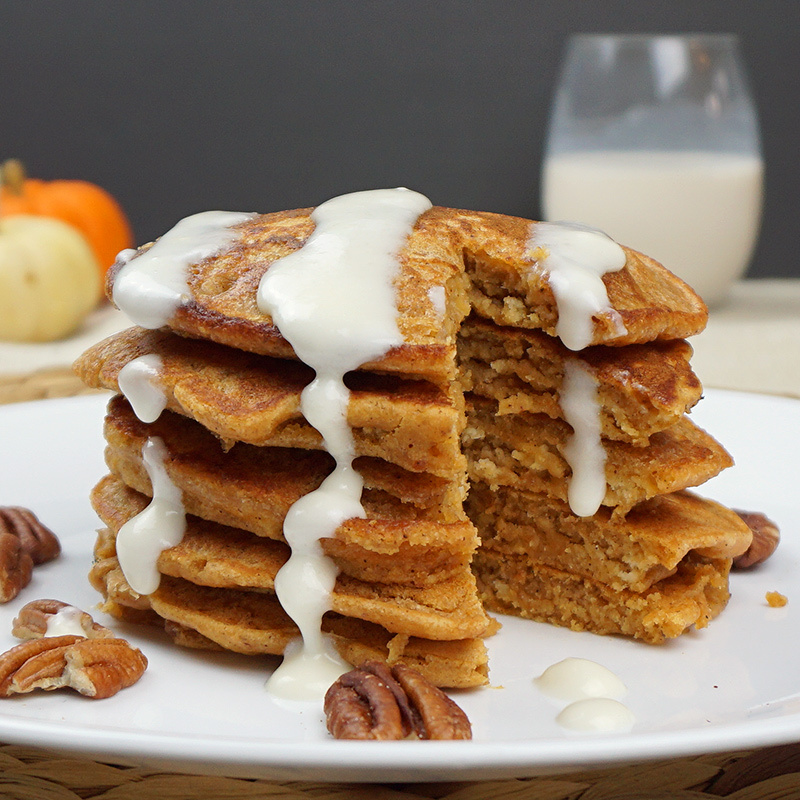 Pumpkin pancakes alone are fabulous, but pumpkin pancakes drizzled with cream cheese glaze? Dessert-worthy. But let’s eat it for breakfast anyway, shall we? These also feature Trader Joe’s seasonal pumpkin spice cookie butter, the pumpkin-y derivative of their Speculoos cookie butter that launched a million cookie butter products. 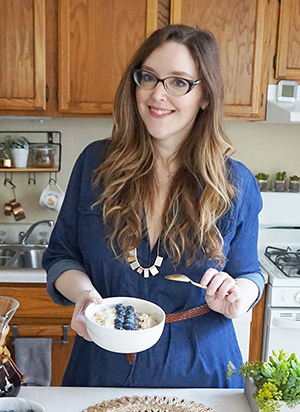 What’s a girl to do with a whole bunch of brown bananas in the fall? 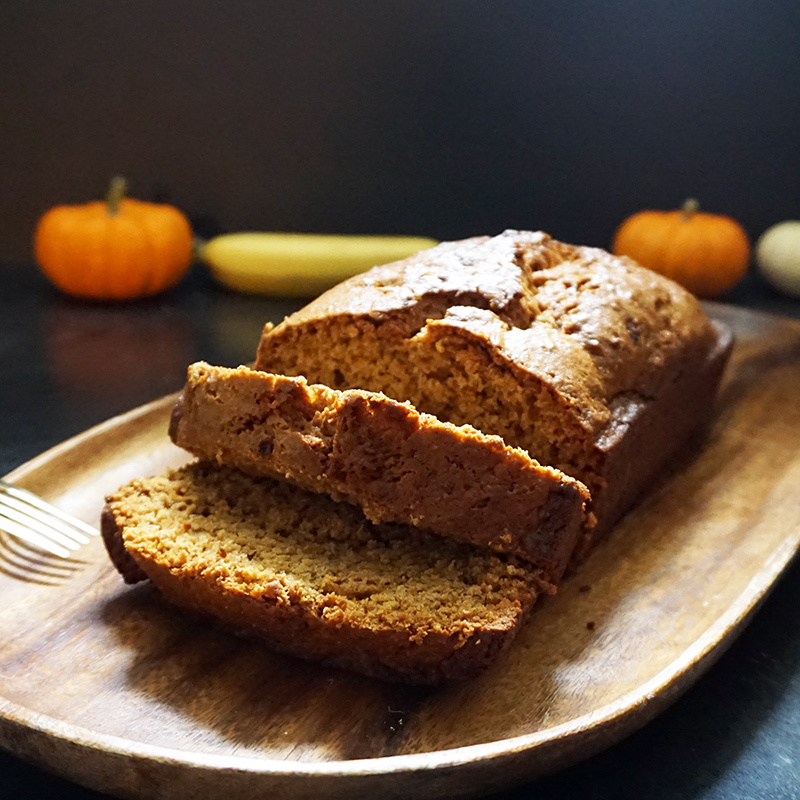 PUMPKIN BANANA BREAD! We’ve got smooshed up ‘nanners, smooshed up pumpkins, and lots of warm fall spices. Oh yes, we’re taking two fruits… err a fruit and a veggie? A fruit and a squash? Whatever it is, it’s yummy. 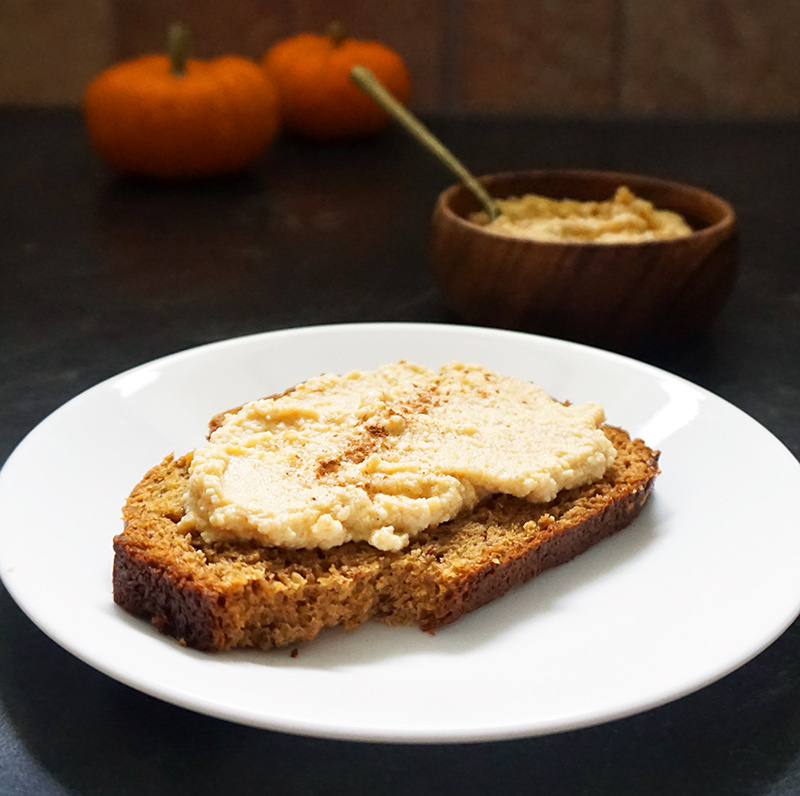 This spread is fabulous smoothed onto the pumpkin banana bread above. It’s ricotta, it’s pumpkin butter, it’s amazing. 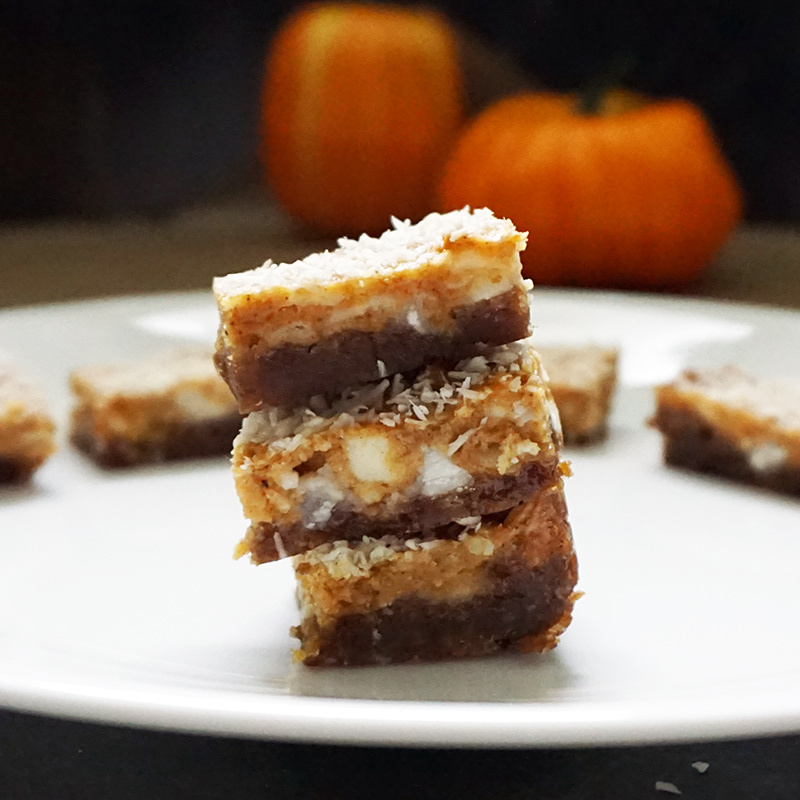 In this fall-themed pumpkin dream bar recipe, I decided to swap a traditional graham cracker crust with a crunched-up ginger snap crust. You can see their dark, molasses-y goodness in that bottom layer up there. Plus there’s a low-sugar option if that’s better for your macros. These will go FAST at a party, so save one for yourself. A savory pumpkin recipe, finally! All that sugar was giving me a rush. 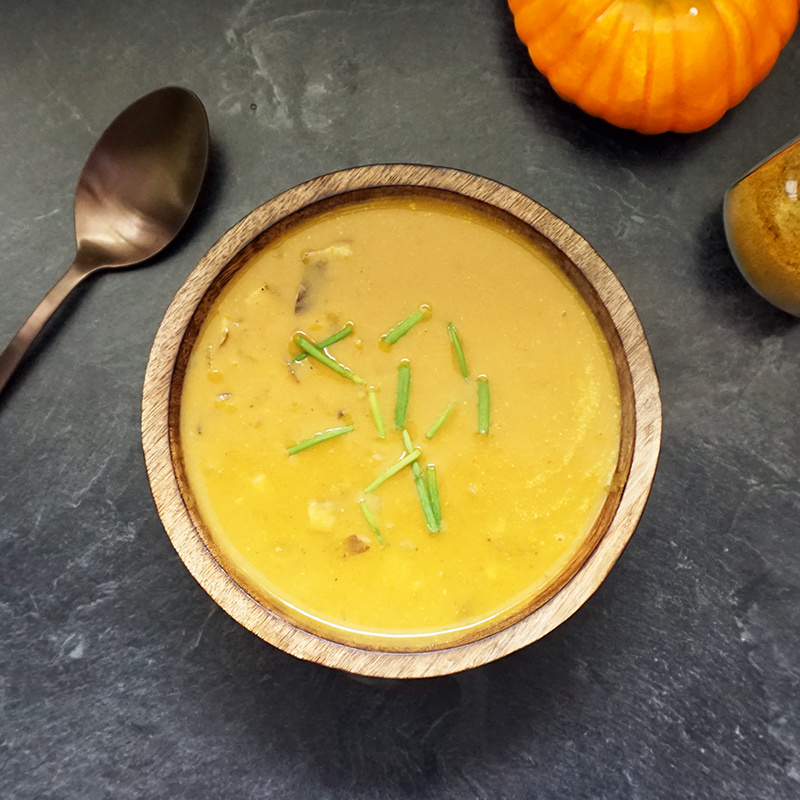 It’s time for some smooth and creamy pumpkin curry soup. It’s mostly shitake mushrooms, onions, pumpkin puree, and coconut milk. So easy! 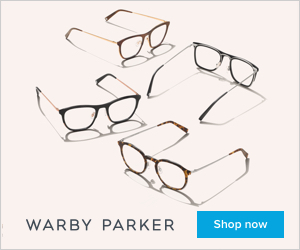 The season is almost here to “pumpkin” out……. LOL! 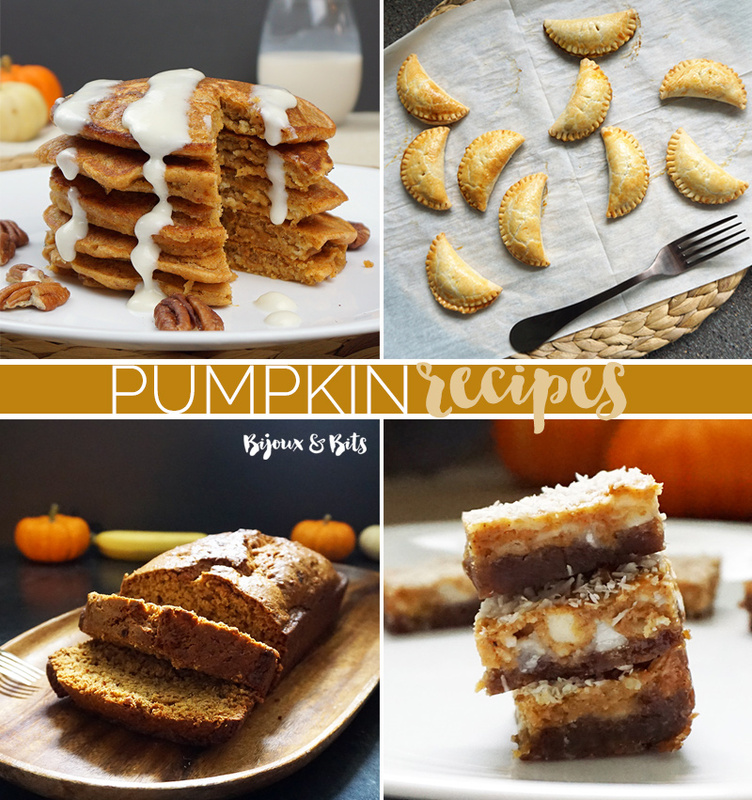 I like your recipe for Pumpkin Ginger Dream Bars, I might give those a spot on my list of must makes…….has PUMPKIN!! 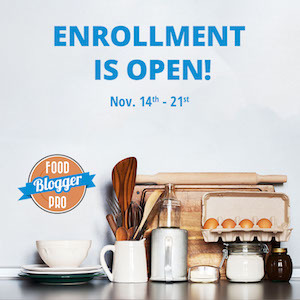 I never had a Pumpkin Butter Ricotta Spread, now that sounds and looks yummy, I will definitely try that one. Pumpkin rice pudding sounds so good right now! I’ll have to try that one out. Thanks for trying these out, Dalila! …oops….not “might”…….”will”…..give them a spot on my list…geez!! BTW ~ I did make your cronut recipe, they were easy & deelish! Had to make 3 batches, my hubby and his friends kept eating them! LOL! !